Join your host on this weeks episode of Weber This Week where the Dog is joined by the director of Seneca Falls Parks & Recreation Department, Jim Spina. Seneca Falls Director of Parks & Recreation, Jim Spina, is Harold Weber’s guest on Monday afternoon’s edition of Weber This Week on FingerLakes1.TV. 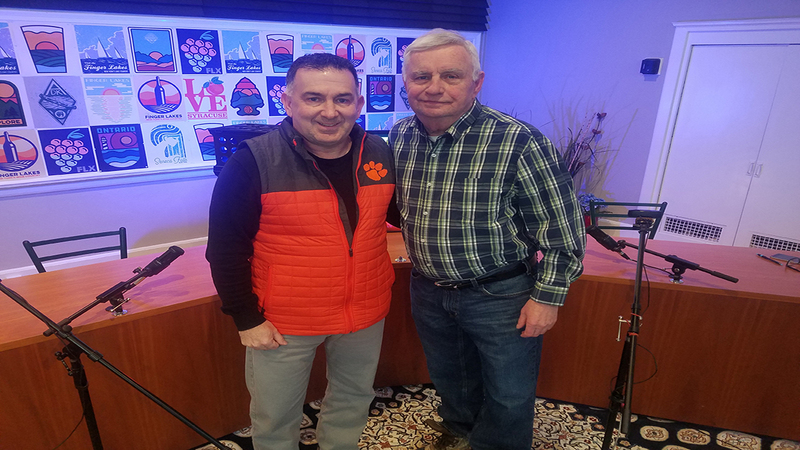 Topics include this past weekend’s U.S. Open, the Yankees & Mets, Jim’s Clemson Tigers and what’s new at Vince’s Park in Seneca Falls this summer. Seneca Falls Parks & Recreation Director Jim Spina is in-studio to talk about the upcoming Section V basketball play-offs and how youth sports contributes to the high school programs, overzealous parents at youth games and the Syracuse Orange basketball team.